A new report published in Biological Conservation estimates that between 140,000 and 328,000 birds are killed annually by wind turbines in the United States. 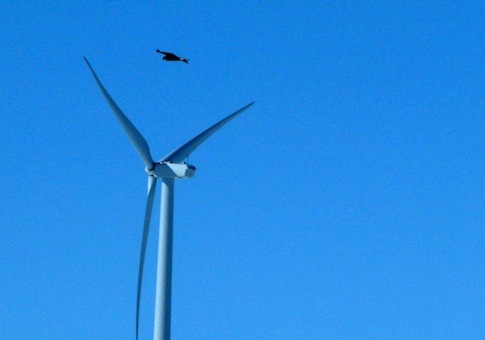 The report examined bird mortality at monopole wind turbines, which are becoming more and more common in the United States. Findings from the report include that mortality increases as the height of the turbines increases, and also that mortality rates are lower in the Great Plains regions relative to other regions in the United States. This entry was posted in Issues and tagged Wind Energy. Bookmark the permalink.